The American electoral system is clearly falling apart—as evidenced by the 2016 presidential election. 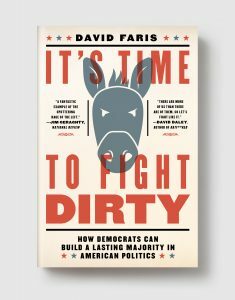 In It’s Time to Fight Dirty, David Faris offers accessible, actionable strategies for American institutional reform which don’t require a constitutional amendment, and would have a lasting impact on our future. With equal amounts of playful irreverence and persuasive reasoning, Faris describes how the Constitution’s deep democratic flaws constantly put progressives at a disadvantage, and lays out strategies for “fighting dirty” though obstructionism and procedural warfare: establishing statehood for D.C. and Puerto Rico; breaking California into several states; creating a larger House of Representatives; passing a new voting rights act; and expanding the Supreme Court. The Constitution may be the world’s most difficult document to amend, but David Faris argues that many of America’s democratic failures can be fixed within its rigid confines—and, at a time when the stakes have never been higher, he outlines a path for long-term, progressive change in the United States. DAVID FARIS is the author of Dissent and Revolution in a Digital Age: Social Media, Blogging and Activism in Egypt, the co-editor of Social Media in Iran: Politics and Society After 2009, and a regular contributor to The Week. 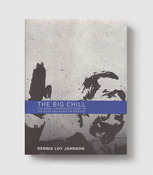 He holds a PhD in political science from the University of Pennsylvania and is associate professor of political science at Roosevelt University in Chicago.